Just spotted! 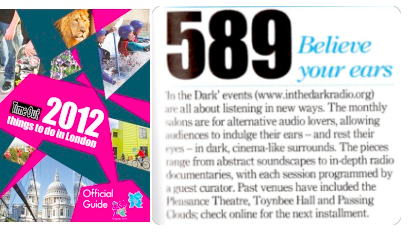 In The Dark has been featured in Time Out’s official Olympic guide, 2012 Things To Do In London. We’ll have to do an Olympic Themed In The Dark to celebrate …. features on pole vaulting, anyone?